To Cast, to Saw, and Not to Injure: Can Safety Strips Decrease Cast Saw Injuries? 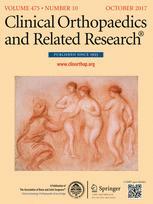 Placement and removal of fiberglass casts are among the more-common interventions performed in pediatric orthopaedic surgery offices. However, cast removal is associated with abrasive injuries and burns from the oscillating cast saw, and these injuries can occur even when the cast is removed by experienced personnel. 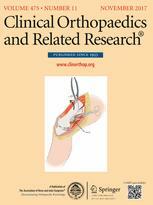 It is unknown whether an added barrier, such as a safety strip, can mitigate injuries from blade-to-skin contact during cast removal with the oscillating saw. We asked: (1) Can a safety strip provide a physical barrier during cast removal, decreasing blade-to-skin contact? (2) Does the safety strip lessen heat transfer? (3) Will the use of the safety strip prevent cast pressure from being released when the cast is split? Standard long-arm fiberglass casts were removed by experienced and inexperienced healthcare personnel (n = 35) from life-sized pediatric models. A commercially available woven cast saw safety strip, commonly incorporated in waterproof cast constructs, was chosen as the protective strip. Each participant removed a cast with and without the safety strip present. All participants were blinded to the presence or absence of the safety strip at the time of cast removal. 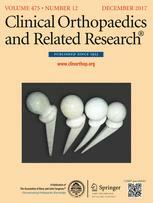 The number of touches was compared between cast removal with and without protective strips. A separate model was designed to assess prevention of heat transfer. Temperatures were recorded, using thermocouples, for three designated temperatures. Five to six trials were conducted at each designated temperature for each of two conditions, with and without the safety strip. Finally, to assess if the safety strip would prevent cast pressure from being released, a third model was used. Thirty standard short-arm casts were applied and removed from the arm models by one of the authors. Pressure data were collected from between the padding layers, in casts with and without the safety strip present, after application, univalving and bivalving each cast. 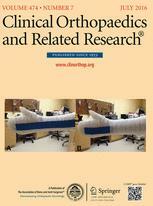 Use of the safety strip reduced the number of simulated skin touches compared with casts removed without the safety strip, among experienced users (mean, 9.0 [range, 1–28] versus 0.1 [range, 0–1], mean ratio, 0.0012; 95% CI, 0.002–0.063; p < 0.001) and inexperienced users (mean, 8.5 [range, 0–31] versus 0.6 [range, 0–3], mean ratio, 0.07; 95% CI, 0.03–0.15; p < 0.001). The safety strips decreased heat transfer, preventing temperatures at the cast-skin interface from reaching 50 °C. Finally, after splitting the cast, with the numbers available, there was no increase in the pressure beneath the casts in those with the safety strip present (mean without, 0.23 [SD, 0.070] versus safety strip in the padding 0.20 [SD, 0.091] and safety strip on top padding, 0.21 [SD, 0.090]; p = 0.446 and p = 0.65 respectively). Our study showed the effectiveness of a safety strip in reducing simulated touches with the oscillating cast saw during cast splitting. Additional studies are warranted to investigate the clinical use and utility of the safety strip in practice. 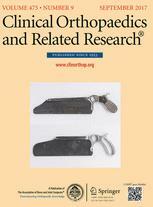 The findings of this study suggest that using safety strips in clinical practice could decrease blade-to-skin contact and therefore minimize cast saw injuries. However, validation of these findings in the clinical setting is necessary before drawing a definitive conclusion.